The majority of ovarian and a percentage of many other cancers express high levels of the folate receptor (FR). Folates and clinically approved antifolate drugs are largely transported into tumours and normal tissues via the high capacity reduced-folate carrier (RFC). A new generation of antifolates and folate–drug conjugates have been discovered that are preferentially transported via FRs and, because of highly restricted expression in normal tissues, they reach their targets selectively in tumours expressing the receptors. FRs are also being exploited by the development of therapeutic antibodies, folate-conjugated drug carriers and imaging agents. 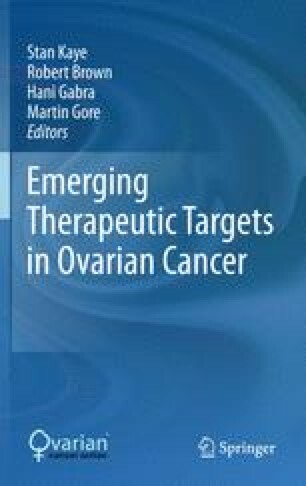 The preclinical and emerging clinical data demonstrate that the α-FR is an important therapeutic target in cancer with particular relevance in non-mucinous ovarian carcinoma.